Good news Lincoln Center fans! 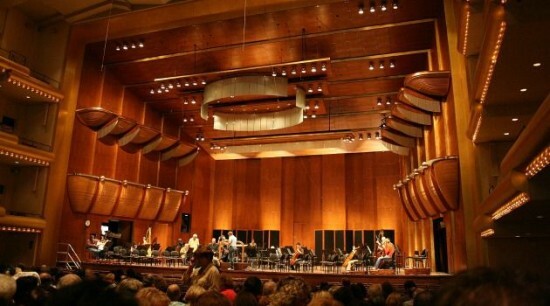 Heatherwick Studio and Diamond Schmitt Architects will lead the renovation and reimagination of David Geffen Hall, Lincoln Center’s largest concert hall. The team was announced as the selection today by Katherine Farley, chairman of Lincoln Center for the Performing Arts, and Oscar S. Schafer, chairman of the New York Philharmonic. The pairing of the two high-profile firms is an intriguing collaboration. Heatherwick Studio is best known for the Garden Bridge in London and a master plan for the new Google campus in Silicon Valley (with BIG). The UK Pavilion at Shanghai Expo 2010 and a redesigned London bus are also some of Heatherwick’s high-profile projects. Diamond Schmitt Architects is best known for their performing arts venues including the New Mariinsky Theatre in St. Petersburg, Russia, the Four Seasons Centre for the Performing Arts in Toronto, and the Maison Symphonique de Montréal. The design will attempt to create a place where the architecture is one with the music, as well as a host of gathering and programming spaces. A new “Legends at Lincoln Center: the Performing Arts Hall of Fame” will also be created on the site. 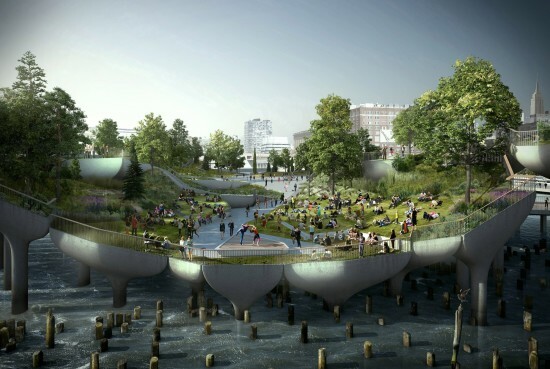 “The inspiring combination of Heatherwick and Diamond Schmitt will bring contemporary design excellence, respect for the historic architecture of the hall, and extensive experience creating acoustically superb performance halls,” said Farley in a statement. “We believe this pairing of Heatherwick and Diamond Schmitt offers the most compelling potential for the New York Philharmonic’s new home that will reflect the excellence and artistry of this Orchestra, as well as further enhance and support the Philharmonic’s evolution as a 21st-century institution,” said Schafer in a statement. The project is expected to be complete in 2019 at a preliminary estimated cost of $500 million. The team was selected from a list of over 100 firms, during a strict process.